PHONE: 517-304-8828 | EMAIL: Jason@SealingCeiling.com Exclusive home of the Sealing Ceiling™ vinyl under-deck ceiling system. Enjoy your under-deck patio rain or shine. 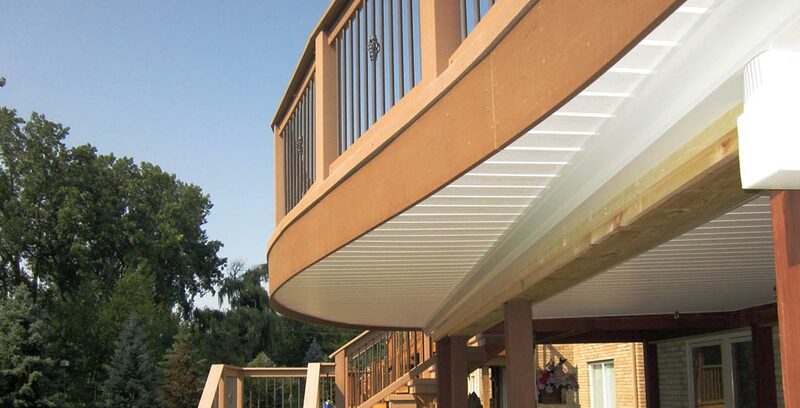 A Sealing Ceiling™ Under-Deck Protection System professionally installed by Acorn Deck Accessories opens up new and exciting ways to enjoy the area under your deck. 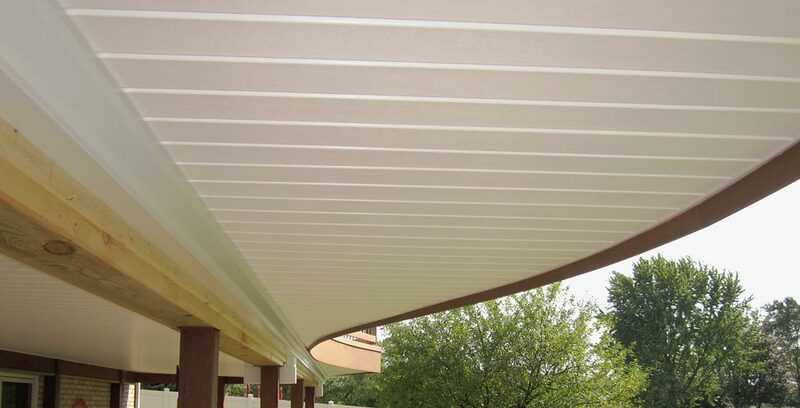 We can also further enhance your under deck patio by enclosing it with power roll down screens or a custom-designed screen room. Recessed LED lighting and ceiling fan installation is also available. Learn more about screens and screen room options. when installed by trained and certified Acorn Deck Accessories technicians. Acorn Deck Accessories can take your under-deck patio to the next level of enjoyment by offering to install accent lighting, ceiling fans, fireplaces, fire pits, suspended swings and recessed lighting. 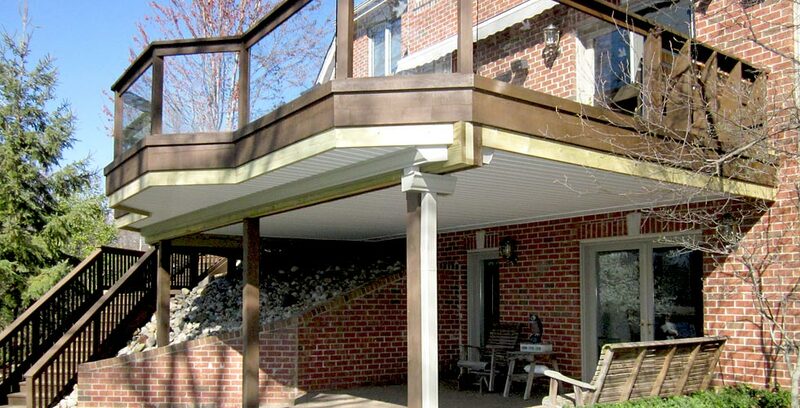 Acorn Deck Accessories primarily services the Greater Detroit and the Southeastern Michigan metropolitan areas. Service outside this area is also available upon special request. Sealing Ceiling™ is an exclusive trademark of Acorn Deck Accessories, Inc., a Michigan-based company headquartered in Brighton. Copyright © 2018 Acorn Deck Accessories, Inc. All rights reserved. 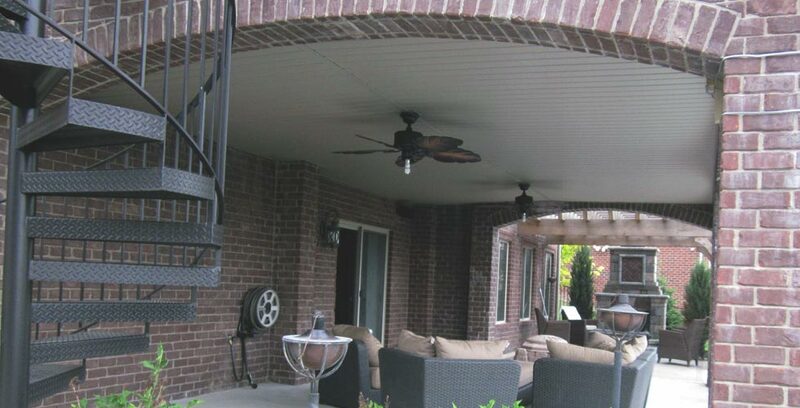 Acorn Deck Accessories, Inc. is licensed and insured. Site designed by Tait Enterprises.